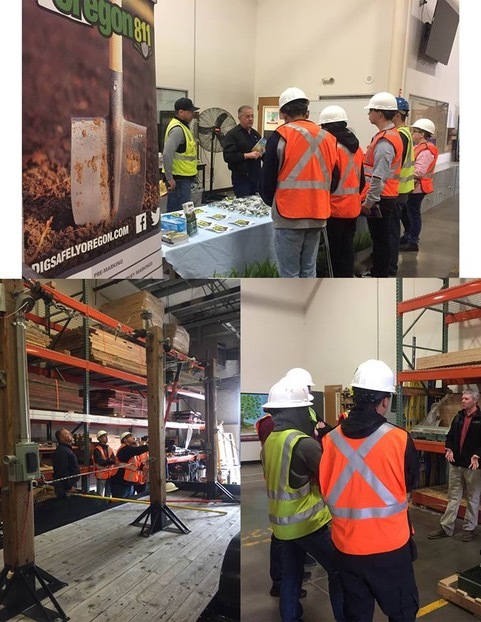 The Oregon Utility Notification Center / OUNC partnered with NW Natural at this years career day at the Career Technical Education Center in Salem, OR! Tobin Werner, NW Natural, shared natural gas safety information as well as job opportunities in the industry with the students. We also shared the importance of calling 811 before any digging project! OUNC was a proud sponsor of the first NWUCA Construction Career Day held at NW College of Construction. Students from Sam Barlow, Parkrose, Washougal, Reynolds, David Douglas, and Franklin high schools attended. 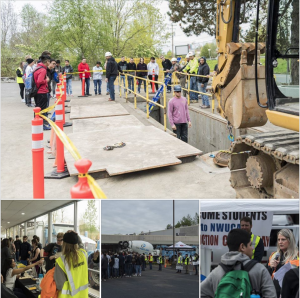 Each activity station gave the students demonstrations on installing piping, virtual reality equipment simulation, and other job related skills. After stopping by our 811 booth, they learned the importance of always Calling 811 before any excavation/digging project. 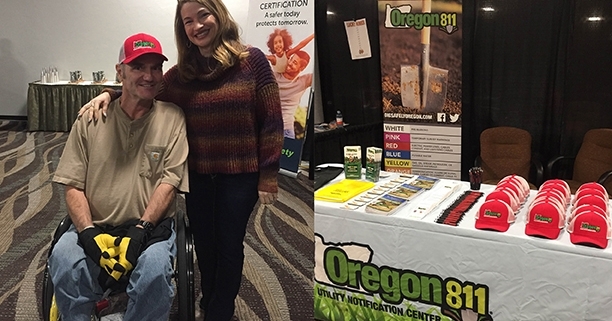 Oregon Utility Notification Center / OUNC sponsored this years Mid-Oregon Construction Safety Summit! The outreach effort to the 300 attendees was very successful we shared with them the new standards manuals, the new call timeline, and the updates to the OAR’s. https://digsafelyoregon.com/wp-content/uploads/2019/02/OregonConstruct-crop.jpg 358 612 OUNC https://digsafelyoregon.com/wp-content/uploads/2015/01/Oregon-811-Logo-NEW.png OUNC2019-02-12 18:27:292019-02-14 18:47:08Oregon Utility Notification Center / OUNC sponsored this years Mid-Oregon Construction Safety Summit! Oregon Utility Notification Center sponsored the Hillsboro Hops baseball team! https://digsafelyoregon.com/wp-content/uploads/2018/09/Hillsboro-Hops-Sponsorship1.jpg 477 800 OUNC https://digsafelyoregon.com/wp-content/uploads/2015/01/Oregon-811-Logo-NEW.png OUNC2018-09-22 09:06:182018-09-22 09:15:27Oregon Utility Notification Center sponsored the Hillsboro Hops baseball team!